My grandparents used to attend many functions at which formal attire was required. 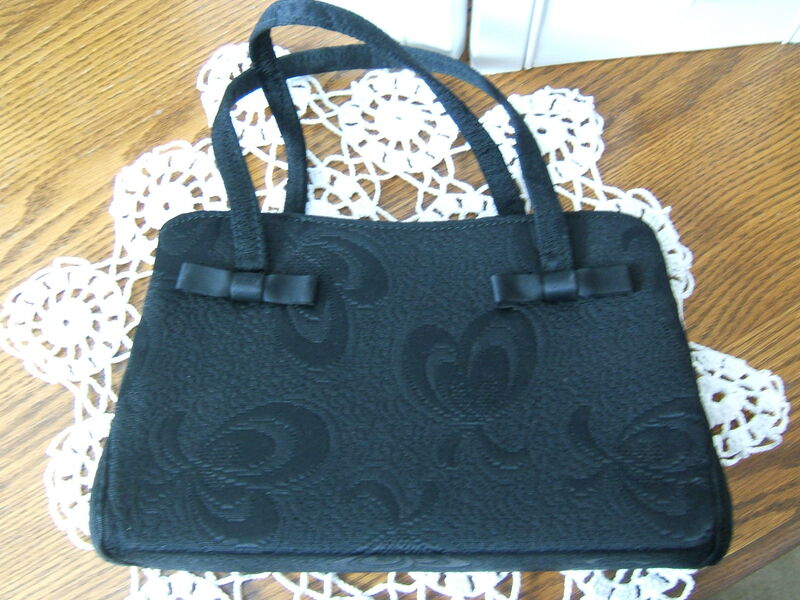 Happily, I inherited many of my grandmother’s evening purses. I decided to carry one to the wedding of the daughter of my good friend, “S”. This little bag was the perfect size to hold just a few essentials, such as a cell phone — Something my grandmother never owned or much less carried to a wedding! I love the sweet, but subtle pattern of the purse’s fabric. I especially like the bows at the base of each strap. 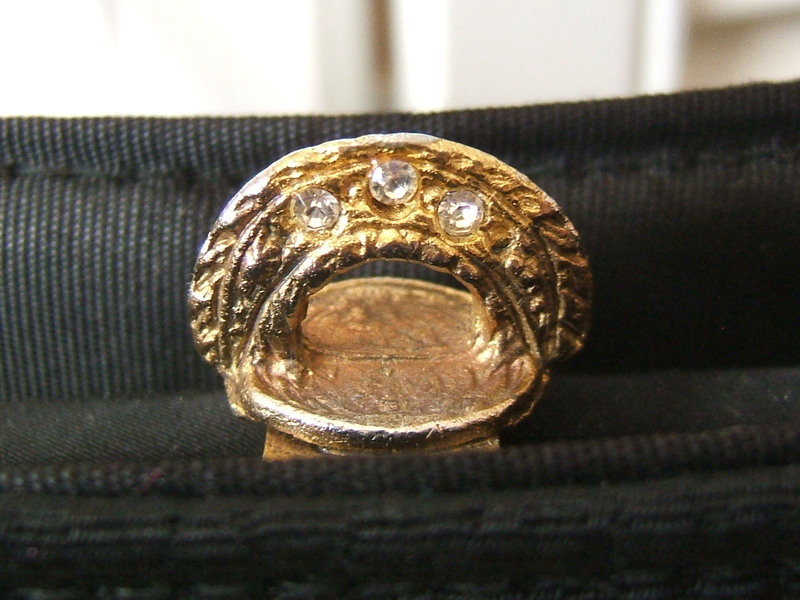 Here is a close up of the clasp. 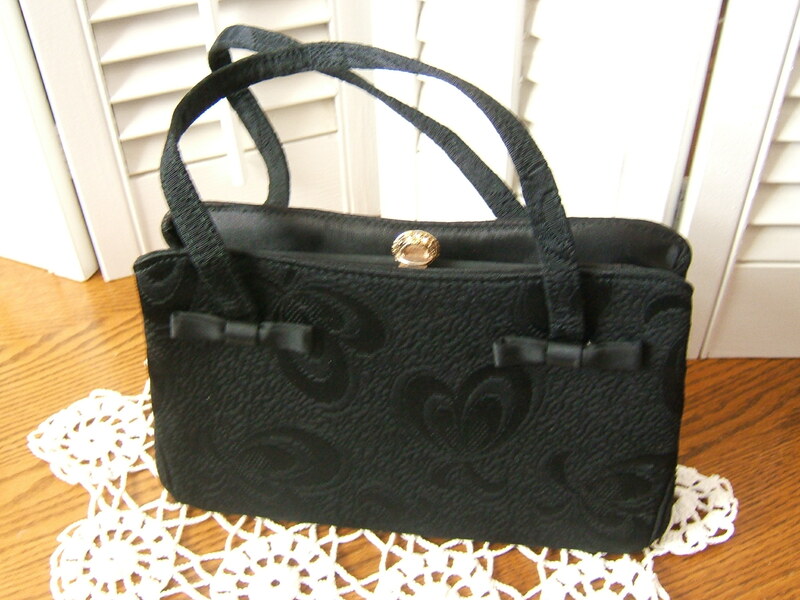 This vintage bag was made by Garay. It is in exceptionally good condition, as were most of the things my grandmother owned. She was of a generation that took care of what they owned. There was no popping out to the mall or logging onto the internet to buy a new piece at whim. My grandmother’s generation also took good care of their hair-dos! While on the way to the wedding I discovered not one, but two, portable rain hats tucked into the side pockets. If it rained, my grandmother was well-prepared to protect her ‘do! Never leave home without your portable rain bonnet! The wedding was lovely with a most beautiful bride – and her momma looked great as well! It was a fine day to carry Grandma’s little black purse. 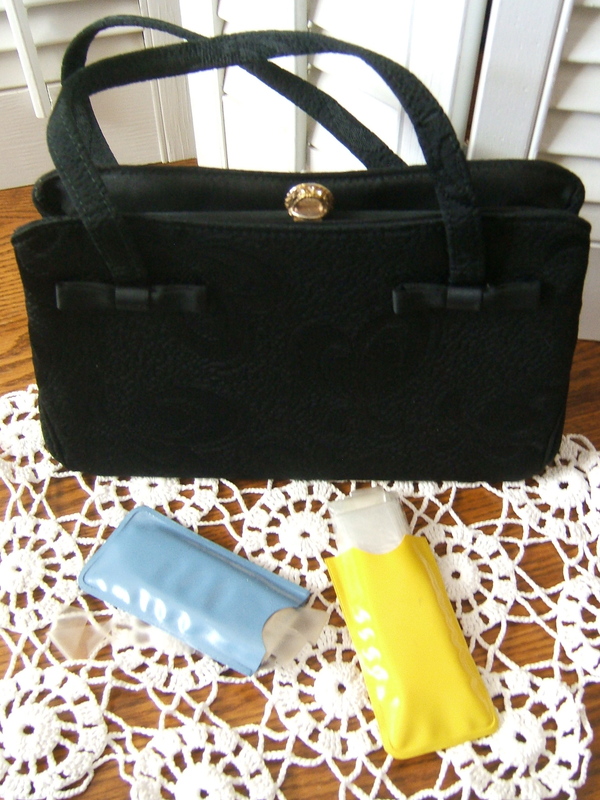 This entry was posted in Vintage and tagged Garay, Purse, vintage. Bookmark the permalink.